Best known for his pictures of fox hunting scenes which sometimes included motor vehicles. Some of these were miniaturised in the small enamel pictures seen on silver cigarette boxes or prints on trinket boxes etc. circa 1906. 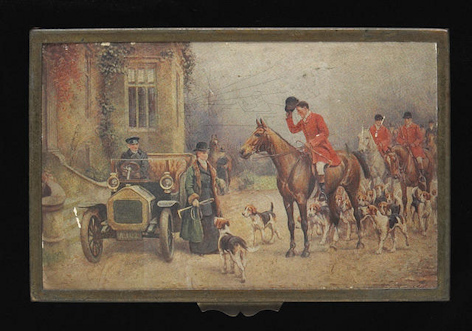 Younger brother of George Wright who also painted hunt scenes and early automobiles.